Into the second week of his state-wide Listening Tour Education Commissioner Stephen Bowen seems to be gaining with audiences using a message celebrating local accomplishment, advocating for more educational flexibility, and soliciting ideas for reworking his Department of Education into a better partner for collaborative school improvements. The third stop on the tour, Hancock County is notable not only for having the highest percentage of districts that remain out of compliance with the state’s school consolidation initiative but also for being one of only two counties which failed to give the Governor a plurality in the November election. So, towards the prospect of any fresh initiatives from Augusta, the Commissioner was certainly aware that listeners were arriving at his presentation packing a certain skepticism, if not loaded outright for bear. Bowen outlined three goals for this tour: 1) to learn what individual schools are doing well and what therefore needs to be preserved and reinforced; 2) to get suggestions about ways to improve all Maine schools and to learn what the obstacles to those improvements are; 3) to figure out ways radically to revamp his Department’s role in education with the aim of making it more efficient, responsive, and useful to local schools. With this information, Bowen hopes to build a ten-year strategic vision for Maine education to correct what he describes as the state’s historic lurching between partially implemented and abandoned policy initiatives which left schools whip-lashed by disruption and confusion. As examples for state tasks suggested at other forums, Bowen mentioned both a common curriculum and a uniform teachers‘ contract. In both cases, he was careful to qualify these as initiatives that he himself doesn’t necessarily advocate and that, if implemented, the Department’s role might be to facilitate but certainly not to impose. 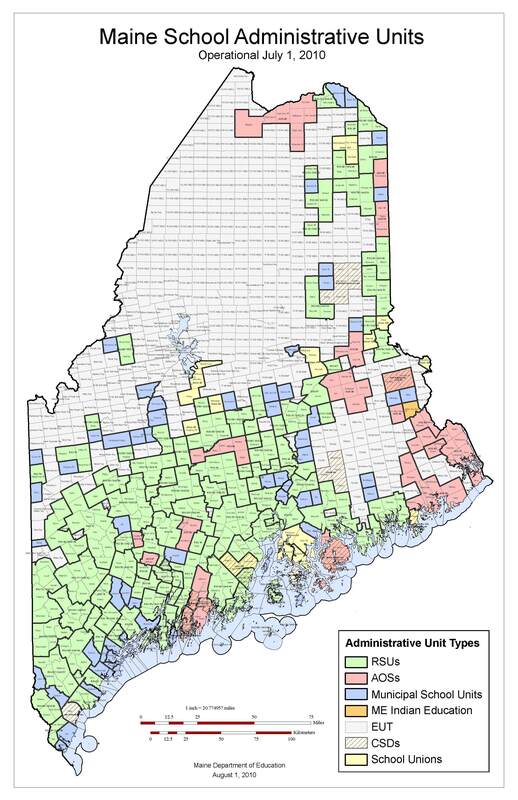 One improvement to which the Commissioner clearly sees himself committed is standards-based education, a structural transformation that many Maine schools have been moving toward, in differing lurches, since the middle of the last decade. Locally, MDI High School has been graduating students since 2007 under a dual system requiring both conventional class credits and demonstration of mastery of comprehensive standards. With similar ambitions, Sumner High School in Sullivan is taking advantage of the infusion of federal improvement grants that followed its designation last year as a persistently low-achieving school to transform itself into a standards-based institution in which students can move at more individualized rates through a complete high school program. The Commissioner noted that, under the superintendency of Don Siviski, RSU 2 in Hallowell has worked hard towards standards-based ‘student-centered education,’ implementing the change incrementally one grade at a time. Commitment from school people involved has only deepened in the process, but the larger challenge to the school district has come in communicating the changes to their communities and bringing parents and others on board. Bowen proposes using the Department as a ‘bully pulpit’ to aid other districts in this effort. Bowen said he recognizes that, under the present turmoil, teachers and administrators are poised to leave their careers in droves. Nearly 50% of the state’s superintendent positions are expected to turn over by next fall and the Governor’s budget proposal is built on an assumption that 1100 teachers will be moved to retire. Bowen said that he’s received indication from Washington that No Child Left Behind will be reauthorized this fall with more reasonable measures that will recognize individual student growth instead of just absolute achievement level. In response to a teacher’s question about the unfairness inherent in the Governor’s proposal to require teachers to increase their contributions to the state pension plan to replace money depleted under previous state budgets, the Commissioner immediately distanced himself. Bowen said he understands that teachers see the combination of increased contribution and reduced benefit while the state lowers its own contribution as fundamentally unfair. In response to a concern voiced that schools, particularly in less wealthy coastal regions, are suffering disproportionate cuts in programs due to unfairness in the state’s school funding formula, the Commissioner said he was confident that the current Legislature shares the concern and is inclined to reexamine both the Essential Programs and Services funding model and the formula for state aid distribution. Beyond that, Bowen agreed that one of the severe flaws in federal education reform had been an over-reliance on narrowly testing only math and language arts. This has made all other subjects vulnerable to cuts and chronic underfunding. He sees Maine’s move towards standards-based education resulting in a healthier redirection of attention back to the broader goals of education. Bowen said he regards the largest failure of consolidation as the opportunity missed to build regional capacity through collaboration and shared resources. At this point, as a catalyst for further efficiency, he thinks the best role for the Department of Education is as a clearinghouse of information for districts that want to engage in such cooperative ventures. In particular, Bowen said he hopes to realize additional opportunities and efficiency through the use of on-line distance learning. As an example, he cited a “virtual charter school” in New Hampshire which offers state-wide classes in Mandarin Chinese. Cumberland County superintendents, Bowen said, have suggested that schools should have more opportunity to provide their own teacher certification programs, rather than depending upon the University system. The Commissioner would like to effect more flexibility generally in teacher training and professional development, recognizing that the conventional courses may not be best meeting needs for teacher improvement. He agreed that school administrators also need to come out of training as instructional leaders, not just as bookkeepers and business managers. Without exception, those in the audience seemed to appreciate and agree with the Commissioner’s remarks. A great deal of that appreciation probably stemmed from relief that Bowen is not representing another round of top-down mandates and that he seemed generally to have both a good command of the important issues and a sincere interest in hearing other perspectives. Towards the Governor’s own agenda of privatization and pension reform (from which the Commissioner distinctly attempted to distance himself) I believe educators remain deeply guarded. But I sense that most are bearing much more optimism at this point towards working with Commissioner Bowen to improve Maine schools as much as common ability permits. I also participated in Commissioner Bowen's stop in Ellsworth to listen and discuss issues brought up by him and members of the public. I applaud Mr. Bowen's decision to visit all the parts of Maine to hear the issues that matter in Maine's diverse regions. I agree with Brian's commentary above about that meeting, but I am also struck but a couple of issues that seemed to have strong undercurrents in Maine's future educational policy and direction. Mr. Bowen made it clear on a number of issues that he personally did not support or understand some of the policy initiatives that the Governor has announced (like pension reform). He also made it clear that there would be no difference in public policy between him and the Governor. Whatever policies and budget are eventually approved by the Governor and the Legislature will be fully supported and implemented by Commissioner Bowen and DoE. 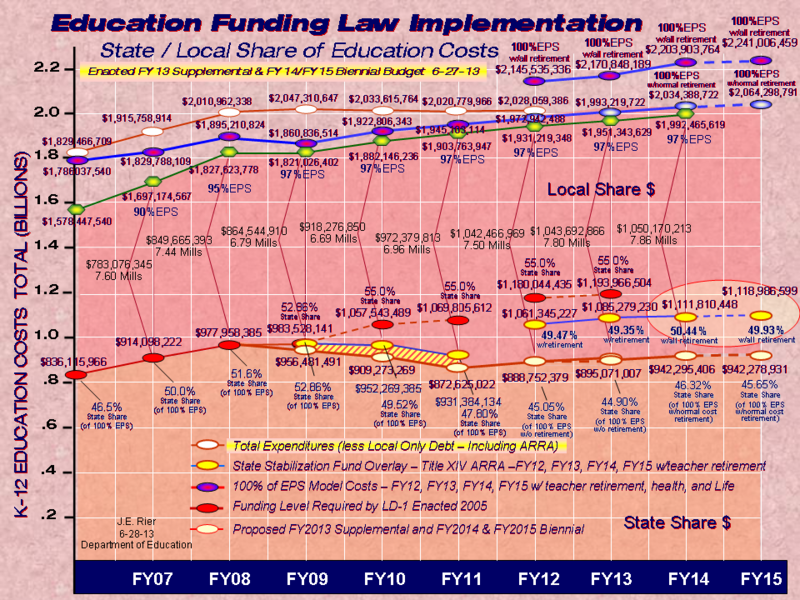 How Mr. Bowen's credibility with the educators in the field and Maine's communities fares will remain to be seen. I wish this commissioner luck with the difficult task he has in front of him, but I am very concerned that some of the policies being promoted by this administration will have the unintended consequences of hitting our students negatively.